Vampire Facelift. I know, it sounds scary. Is the procedure painful? 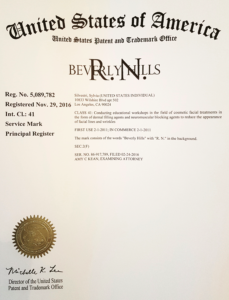 What does the process entail? Your patients may already be asking these questions, so we’re here to equip you with the answers. So first, what is a Vampire Facelift? As you probably guessed by the name, the Vampire Facelift involves blood. This procedure, developed by Dr. Charles Runels, M.D. is non-invasive, restores facial shape, and gives patients a smoother, brighter complexion. 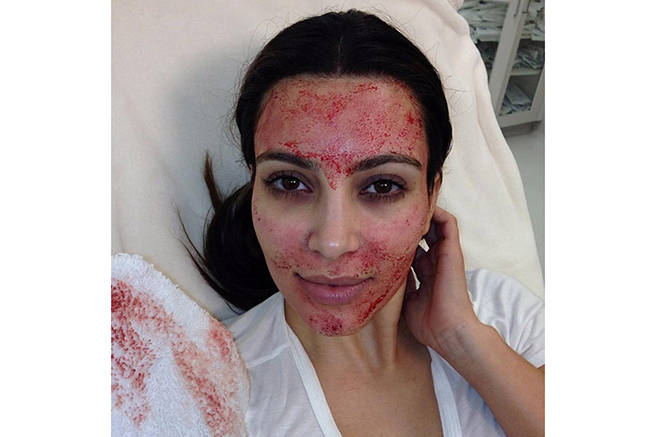 In order to perform a Vampire Facelift, you withdraw some of a patient’s blood, isolate the platelet-rich plasma (PRP), and then inject it into a problem area to smooth wrinkles and give the skin a more youthful look. This nonsurgical procedure has more in common with filler injections like Restylane and Juvederm, than a traditional facelift. Many practitioners find that Vampire Facelifts have advantages over other fillers. 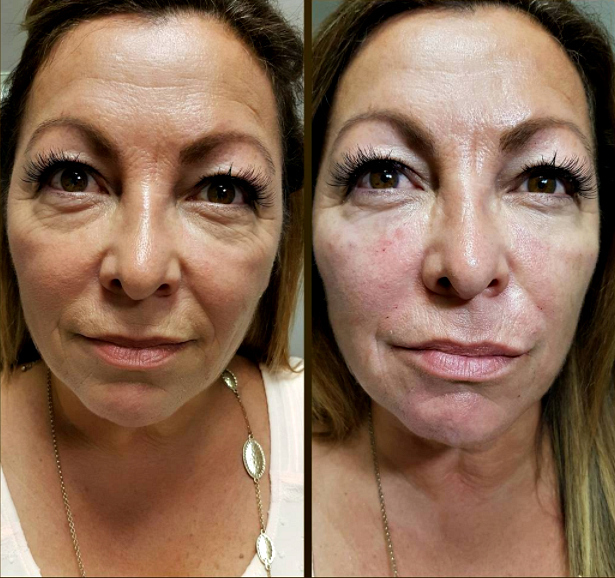 The Vampire Facelift procedure helps improve skin texture and gives it a glowing quality, as well as adding volume to the skin by increasing collagen production. The all-natural serum contains no animal-derived or synthetic components. The patient’s blood is all that is needed. No other fillers or medications are necessary. Who is a Good Candidate for a Vampire Facelift? Any patient can benefit from this procedure. The first step of the Vampire Facelift Treatment is defining the treatment area. This typically consists of the cheeks, under the eyes, or another area of the face that the patient wants to augment. Similar PRP therapy procedures such as the Vampire Breast Lift, Vampire Facial, and Vampire Hair Growth are used for treating other areas of the face, hairline, and breasts. In the second step, two teaspoons of blood are drawn from the patient’s arm and put it in a centrifuge, a device that separates the red blood cells from the serum, platelets and white blood cells. 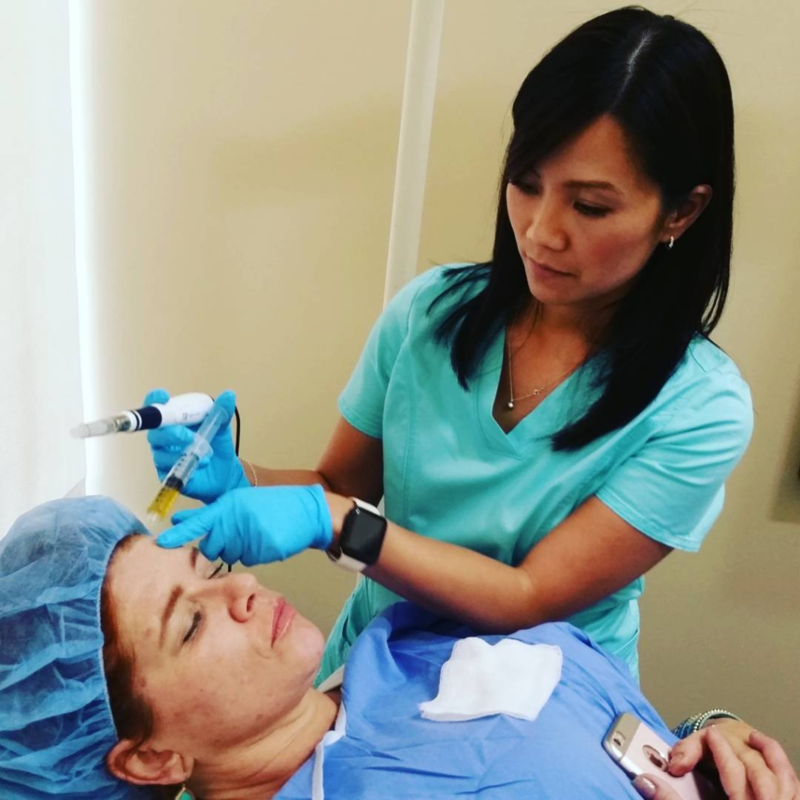 Numbing cream is then placed on the face, and the growth factors from the patient’s blood are injected into the facial treatment area after strategic injections to the face with Juvederm or Restylane. The procedure should take about 60 minutes, making it a quick and easy option for facial aesthetics. 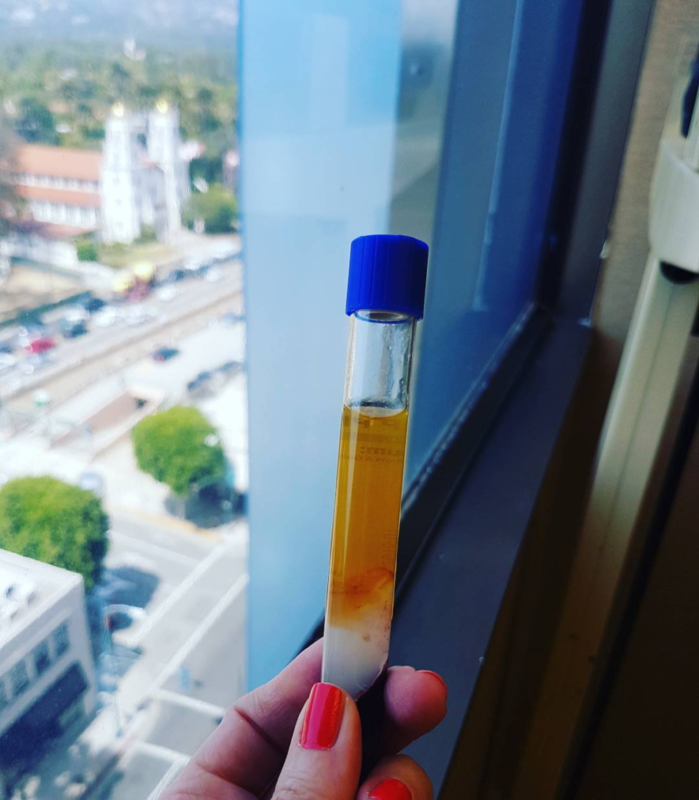 This injection of PRP into the face activates multipotent stem cells and tricks the body into generating new tissue, as it would after an injury. The patient’s system will naturally grow collagen for moisture and a more youthful face, new fatty tissue for smoothness and new blood vessels for a glowing complexion. The procedure was inspired by how your body heals after an injury. The procedure requires no allergy testing since you are using the patient’s own blood. 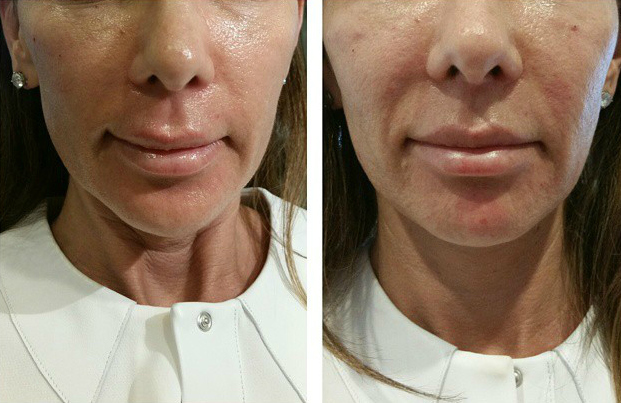 PRP also helps with bruising, which is often a problem with Juvederm or other fillers. The Vampire Facelift is considered a medical treatment in all states. Consult with patients about their medical history and conduct a brief physical exam to accept them for treatment. The exam should be performed by a physician, physician assistant or nurse practitioner. Only doctors and licensed medical professionals can draw blood and make injections, but trained medical spa employees can apply surface PRP without needles or micro-needling devices. Talk to your state medical board or health care attorney to learn more about the rules in your state. What’s the Difference Between the Vampire Facelift and the Vampire Facial? The Vampire Facelift consists of facial injections that help reshape or plump up problem areas on the face, while the Vampire Facial is a topical application that improve skin tone and the surface skin. Both procedures use a PRP mixture culled from the patient’s blood. The main differentiator of the Vampire Facial is that instead of injecting the patient’s PRP in to the face, you use microneedling device, such as the Dermapen, to create microscopic pinpoint injuries to the face and then apply the PRP directly onto the surface of the skin. This process was famously used on reality TV star Kim Kardashian and went viral in 2014. 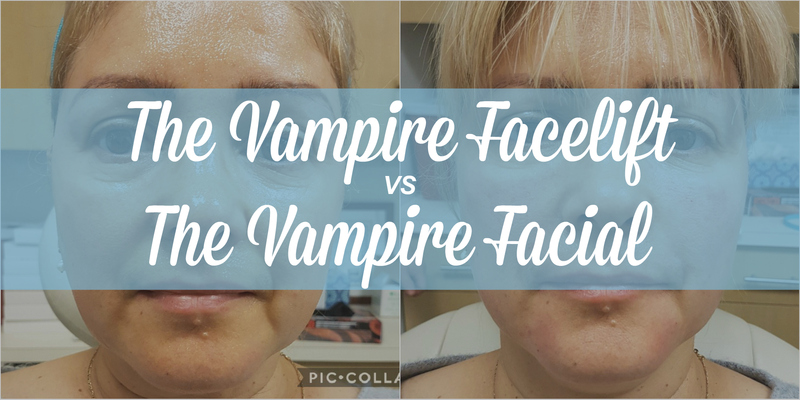 Read more about the difference between the Vampire Facelift vs the Vampire Facial. Does the Vampire Facelift Work? Yes, the Vampire Facelift has proven to improve skin texture, increase skin glow, and add volume to skin, resulting in a more healthy, youthful appearance. After you perform the initial procedure, the treatment area will continue to improve for 2 to 3 months as fibrin matrix develops. How Effective is the Vampire Facelift? Satisfied patients and practitioners relate their experiences with PRP on Real Self and other cosmetic treatment forums by posting Vampire Facelift before and after photos. Results vary according to the patient. Consider the Vampire Facelift for patients who have little tolerance for other fillers, or refuse to have mini-facelifts, full facelifts, neck lifts, brow lifts or surgical procedures. How Long Does the Vampire Facelift Last? The results from a Vampire Facelift procedure last six months to two years for most patients. The length of time depends upon the patient’s age, the extent of damage to the patient’s skin, health history, and skin maintenance. 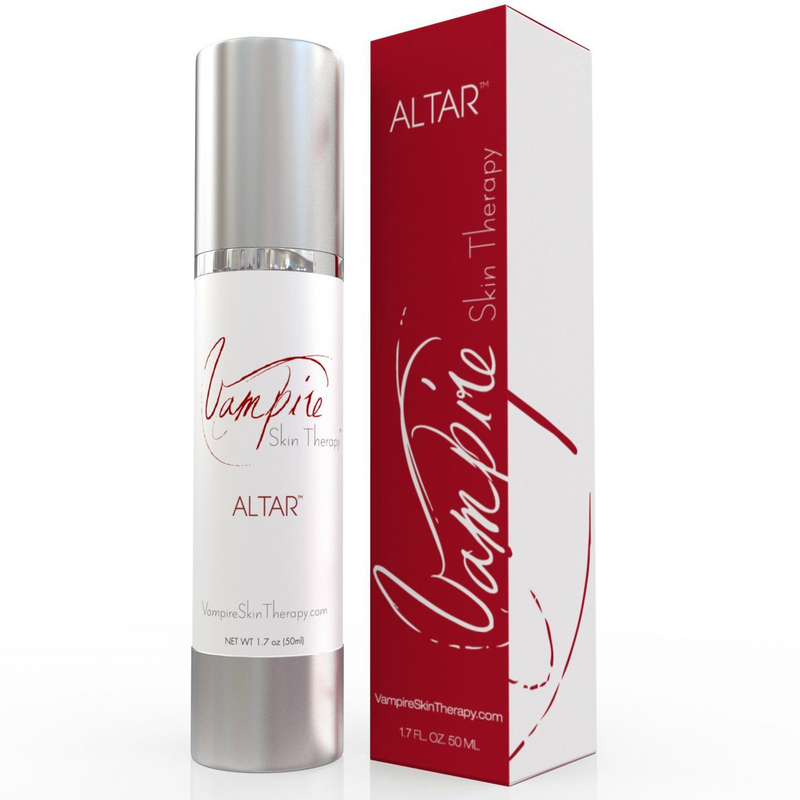 To maintain a youthful appearance, patients should ideally receive a PRP/HA combination (Vampire Facelift) twice a year. How Much Does the Vampire Facelift Cost? The amount charged for this procedure varies according to the region and expertise of the doctor or nurse performing the service. The total price ranges from $1500 to $2500. What Side Effects does the Vampire Facelift Have? Most patients do experience redness and light swelling for a day or two. Some patients have experienced puffy cheeks and slight swelling. Extreme side effects are rare. Patients can carry on their normal routine after receiving a Vampire Facelift but should avoid strenuous activity for a day or two. Light makeup and gentle cleaning products may be used shortly after PRP, but patients should avoid face scrubs and excessive cosmetic use for 7 days after the procedure. Sun exposure should be avoided or kept to a minimum for 7 days after the procedure. Does the Vampire Facelift Hurt? Patients should feel no discomfort since you will use numbing cream on the area to be treated. Sensitive patients may need extra numbing cream. In addition to numbing cream, you can use a vibrating instrument specially made for needling and injection procedures. 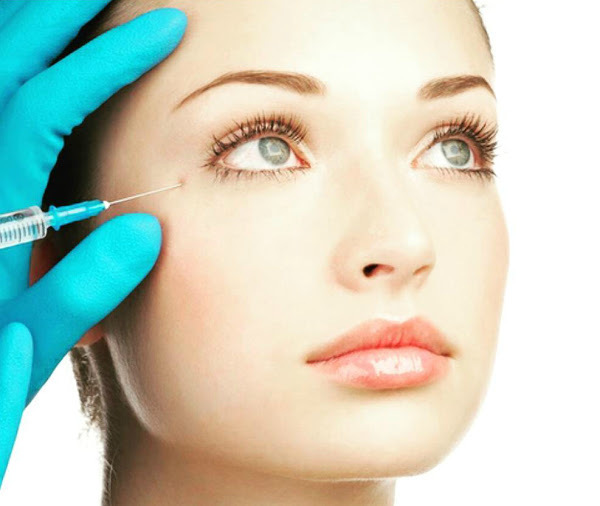 Patients can go about their daily business immediately after receiving a PRP facelift. Sensitive patients and people receiving many injections in a single procedure may feel sore. Patients should be able to go out to dinner that evening if they desire. Is the Vampire Facelift Safe? As long as you follow all the procedures outlined in training sessions and materials, the Vampire Facelift poses no health concerns for the patient. 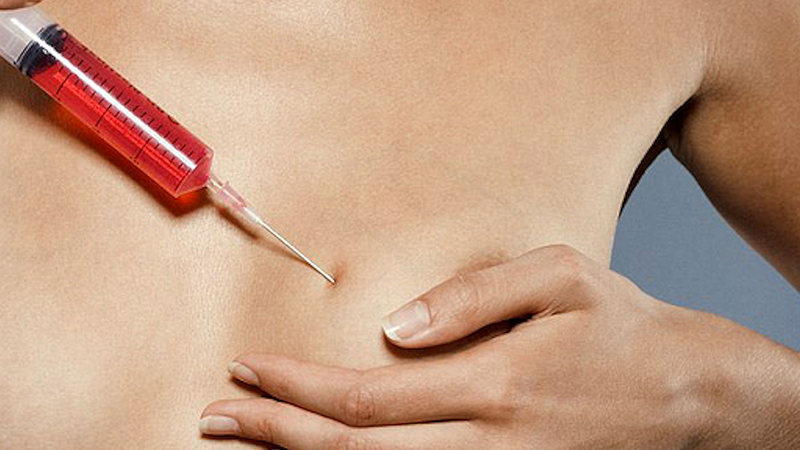 Using the patient’s own blood helps avoid the standard problems caused by injections. The patient will not be subject to toxicity, disease transmission or allergic reactions. What Results Can I Get With a Vampire Facelift? Patients can get firmer skin and more volume in areas of the face “thinned out” by growing older. Hollow cheeks and sunken under-eye areas will become fuller and more vibrant-looking. The procedure improves skin texture, reduces fine lines and increases volume. Results improve with repeated treatments. Most patients see noticeable results in three to four weeks, with a slight difference during the first four days. However, the Vampire Facelift results are really limited to specific areas of the face. The procedure can’t sculpt the jawline, neck, and lower face the way a surgical facelift or necklift does. Is the Vampire Facelift Covered by Insurance? Like most cosmetic procedures, the Vampire Facelift must be paid for out-of-pocket. Insurance will only pay for procedures deemed medically necessary. Visit our Vampire Facelift procedure page to learn more about our Vampire Facelift training & certification for doctors and nurses. 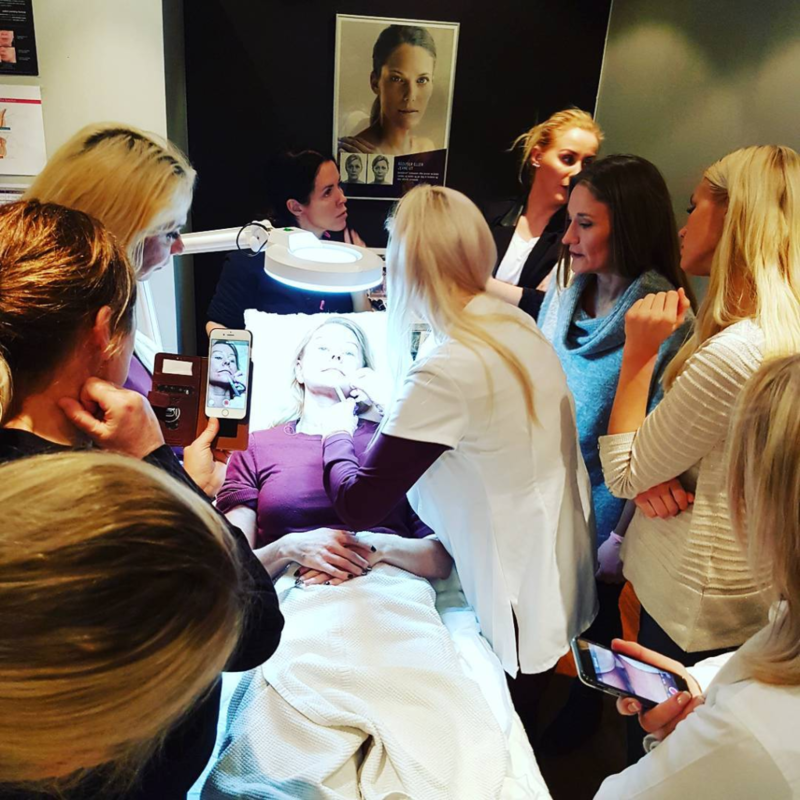 We offer semi-private trainings at our Beverly Hills & Nashville offices and private trainings at your office where you’ll learn how to perform and market the Vampire Facelift along with other PRP Aesthetic procedures. 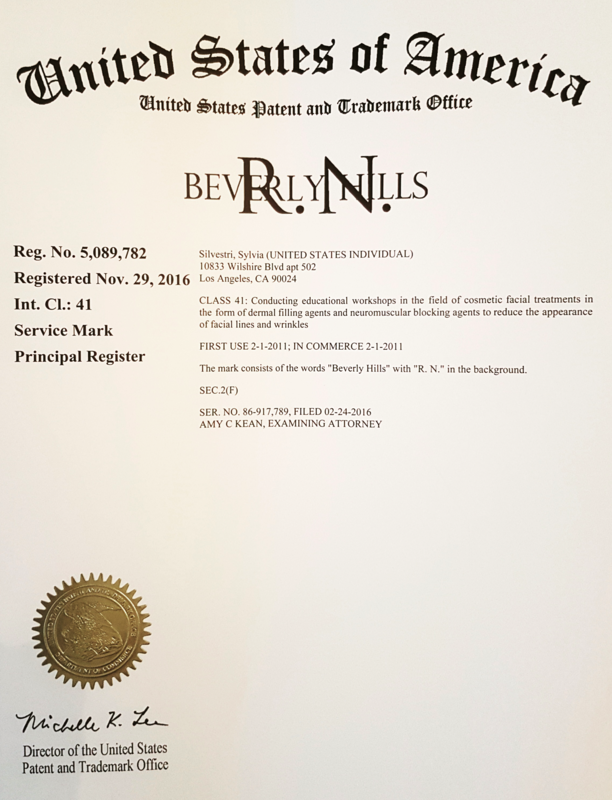 Our founder, Sylvia Silvestri RN has worked directly with the Vampire Facelift inventor, Dr. Charles Runels and is the premier PRP training course in Beverly Hills & Nashville for PRP Aesthetics and Sexual Wellness procedures. Learn more about our training workshops and contact Sylvia to book your training today.